The chorus calling for the ouster of Environmental Protection Agency Administrator Scott Pruitt has grown bigger and louder. Forty environmental, civic, labor and social justice organizations took out full-page ads calling the resignation of Pruitt. The ad appeared in the New York Times, the New York Post and The Oklahoman, which is the largest paper in Pruitt’s home state, Oklahoma. A Senate resolution calls for the resignation of Pruitt. “It is the sense of the Senate that Scott Pruitt should resign immediately from his post as Administrator of the Environmental Protection Agency,” the resolution states. The Hill reports that 170 congressional members have signed the resolution. “If Scott Pruitt refuses to listen to the legislators and the millions of Americans demanding his resignation, then Donald Trump must intervene and fire him immediately,” said Sierra Club Executive Director Michael Brune in a statement. Editorial boards have called for Pruitt’s ouster, including the Houston Chronicle, the Joplin Globe, the Washington Post and the Los Angeles Times. “Dropping this bad actor can’t happen fast enough,” the editorial by the Houston Chronicle proclaims. “So I’m going to make some news here: Pruitt should resign,” said Stefanik, WAMC reported. “I’d be shocked if that many people knew who Scott Pruitt was, so the notion that ‘I’ve got to fly first class because I don’t want people to be mean to me’ — you need to go into another line of work if you don’t want people to be mean to you. Like maybe a monk,” he said. Two recent reports highlight just how corrupt Pruitt is as an EPA administrator. The EPA Office of Inspector General conducted an audit on the use of administratively determined positions. The main objective of the audit was to determine how the EPA used its authority to fill up 30 AD positions under the Safe Drinking Water Act. What the OIG found is that under Pruitt, three aides were given five-figure raises. In one case, the salary raise was 67.6 percent, and in another, it increased by 72.3 percent. 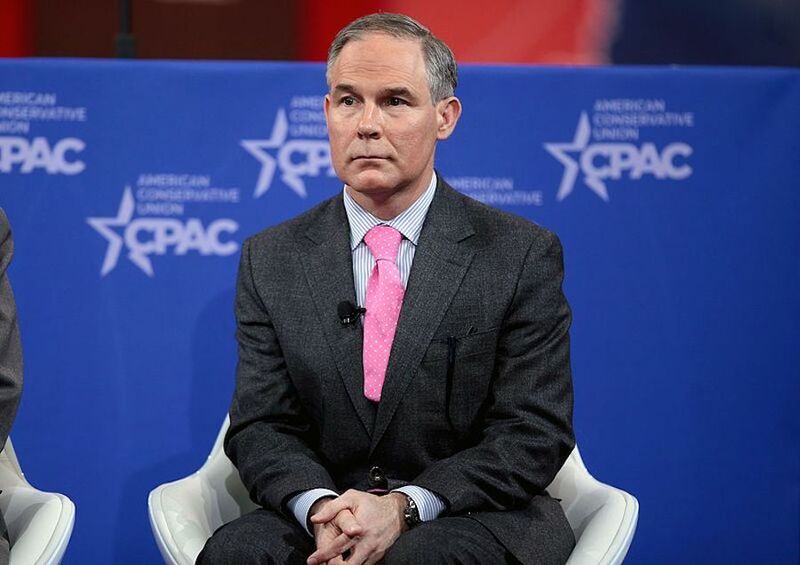 A Government Accountability Office (GAO) analysis found that the installation of a $43,000 soundproof in Pruitt’s office was illegal under the Antideficiency Act. Section 710 of the Act prohibits an agency from spending more than $5,000 to furnish, redecorate, purchase furniture for, or make improvements for the office of a presidential appointee without prior notification to the House Committees on Appropriations. Will Pruitt’s replacement be an improvement? The Sierra Club declared that Pruitt “has perverted the Environmental Protection Agency’s mission with a radical agenda to undermine not only the agency itself but also more than half a century of bipartisan environmental progress in this country.” Indeed he has, but will the next one President Trump appoints be any better? The Senate recently voted to confirm Andrew Wheeler as the Deputy Administrator of the EPA. FOE describes him as a “long-time fossil fuel lobbyist with a record of climate denial” and the “likely successor” if Pruitt is resigned or fired. Before he worked as a coal lobbyist, Wheeler worked as a legislative aide to Oklahoma Senator Jim Inhofe. Inhofe repeatedly referred to climate change as “the greatest hoax ever perpetrated on the American people” and wrote a book called The Greatest Hoax. Wheeler will likely be just as bad and maybe even worse than Pruitt. Under the Trump administration, no one will be appointed to head the EPA who actually believes in protecting the nation’s air, water, and land.